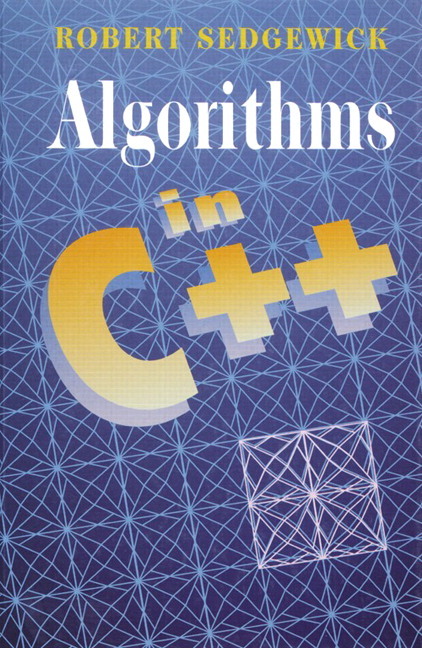 For this version of Robert Sedgewick's popular textbook on algorithms and data structures, Christopher Van Wyk and Robert Sedgewick have developed new C++ implementations that both express the presented methods in a concise and direct manner, and also provide students with the practical means to test them on real applications. This particular book, Parts 1-4, represents a substantial update of the first half of Sedgewick's complete work. 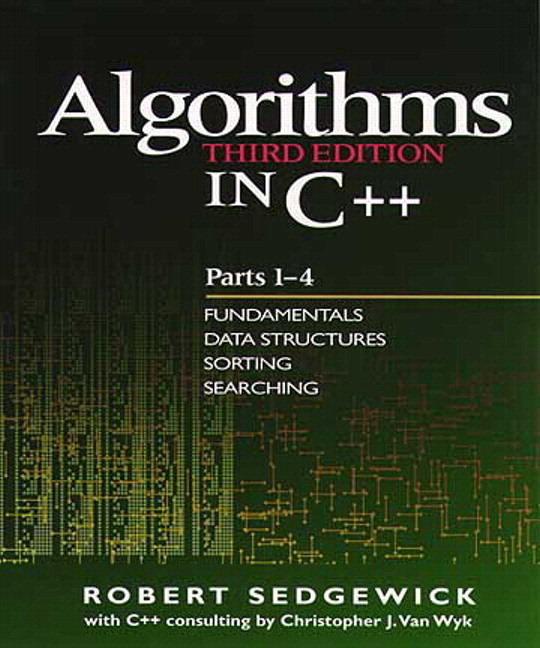 It provides extensive coverage of fundamental data structures and algorithms for sorting, searching, and related applications. The update features expanded coverage of arrays, linked lists, strings, trees, and other basic data structures, and greater emphasis on abstract data types (ADTs), modular programming, object-oriented programming, and C++ classes than in previous editions. It includes over 100 algorithms for sorting, selection, priority queue ADT implementations, and symbol table ADT (searching) implementations, and over 1,000 new exercises to help students learn the properties of algorithms. 2. Principles of Algorithm Analysis. Abstract Objects and Collections of Objects. Examples of Stack ADT Clients. Creation of a New ADT. FIFO Queues and Generalized Queues. 9. Priority Queues and Heapsort. Priority Queues for Index Items. 12. Symbol Tables and BSTs. Christopher J. Van Wyk is Professor of Mathematics and Computer Science at Drew University. The author of Data Structures and C Programs (Addison-Wesley, 1988), he has served on the research staff at Bell Laboratories, where he is now a consultant. Robert Sedgewick and Christopher Van Wyk both earned their Ph.D. degrees from Stanford University under Donald E. Knuth.